Would repealing Net Neutrality hurt small businesses? 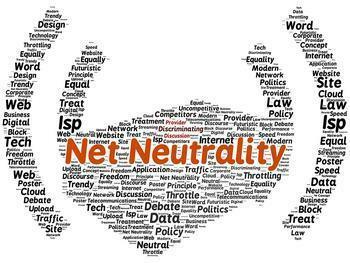 An analysis of internet rules by the outplacement firm Challenger, Gray & Christmas concludes that rolling back Net Neutrality rules would not just hurt consumers, but small businesses as well. In 2015 the Federal Communications Commission (FCC) adopted a set of guidelines that bars Internet service providers like Verizon, AT&T, and Comcast from speeding up, slowing down, or blocking any content, applications, or websites. In other words, all content must be treated equally. The reasoning behind Net Neutrality is one company's content shouldn't get preferential treatment, just because the company pays a big fee to the ISP. ISPs have argued that they spend a lot of money building and maintaining their networks, and it's only fair that companies like Netflix, which requires huge amounts of bandwidth, pay extra for the use of that capacity. Challenger, Gray & Christmas said it reviewed internet policies prior to 2015 and found many ISPs, both domestic and foreign, engaged in actions that unfairly affected smaller companies. It points to the period of 2011 to 2013, when it says AT&T, Sprint, and Verizon blocked Google Wallet, which happened to compete with a service in which the ISPs held a stake. In 2012, it says AT&T announced plans to disable the FaceTime video-calling app on its customers' iPhones unless they subscribed to more bandwidth, at a higher price. The 2015 Net Neutrality Rule prevents those kinds of actions, but from the start the new chairman of the FCC, Ajit Pai, has targeted Net Neutrality for reversal. John Challenger, CEO of Challenger, Gray & Christmas, notes that President Trump recently signed the "Internet privacy bill," which he says will repeal vital internet-related consumer protections. In the end, he says that hurts businesses. "The slicing up and selling of the Internet will make it vastly more difficult for companies to remain innovative,” Challenger said. “Not to mention the cost to small businesses and entrepreneurs to have access to the Internet." Challenger also maintains there is no demand, except from big ISPs, to rollback Net Neutrality. He says polls consistently show that a large majority of people, both Republicans and Democrats, support the concept of Net Neutrality.